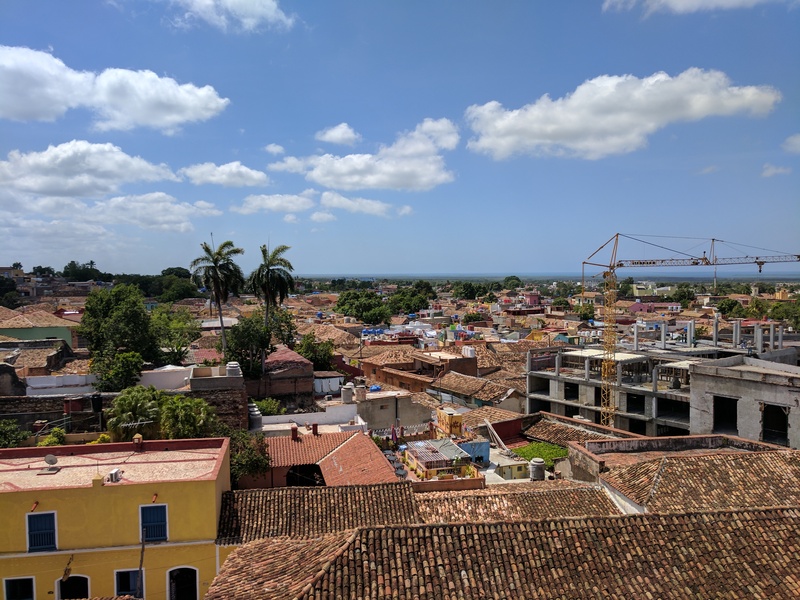 As per usual the taxi was Cubano and was super late to pick us up, but I did however have the best breakfast I think I have had since arriving in Cuba…. pineapple, mango, guava, bread, omlette, fresh juice and coffee! 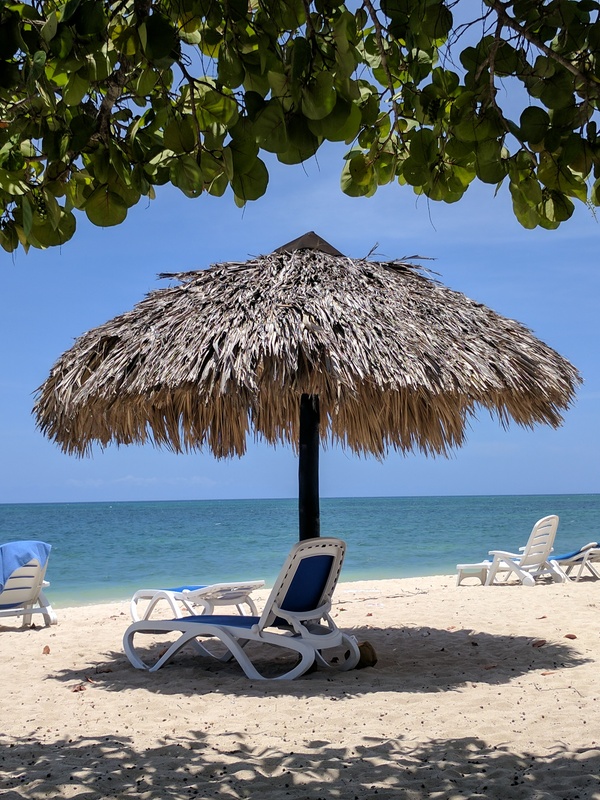 It took about two hours to arrive in Trinidad. We had to make a stop on the way – my bad, too much coffee! 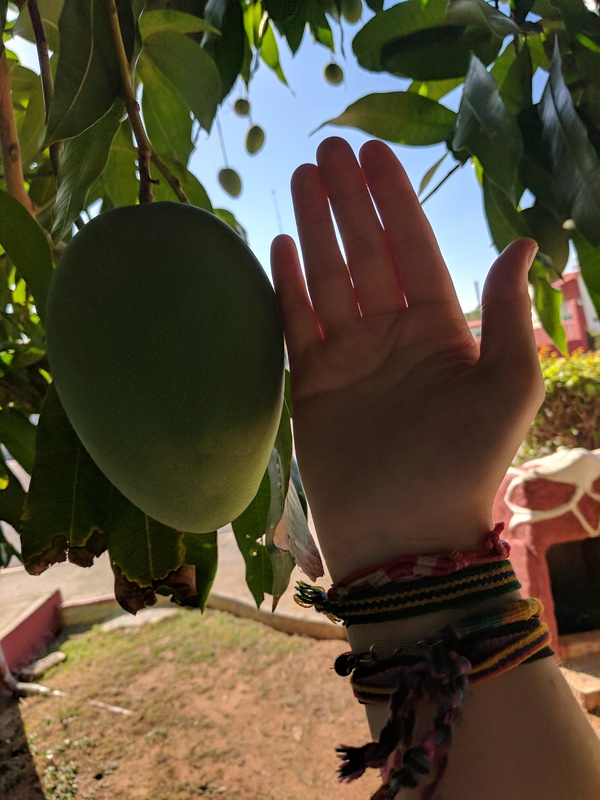 The place was really beautiful, I could have happily stayed there and it literally had mangos as big as my hand! 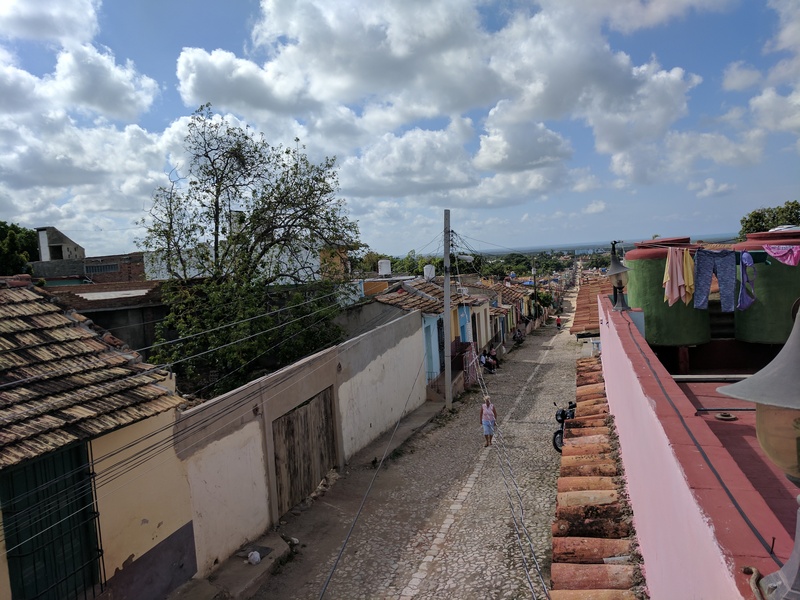 In Trinidad we got taken to our casa and then shown around the town. Having colonial history it is very colourful but very touristic. I did really like the cobbled roads! We were taken to the museum of history and talked to (in Spanish) about the sugar trade, the slaves and the families of Trinidad. It was very interesting. The museum itself used to be one of the families homes and had a tall tower you could climb. 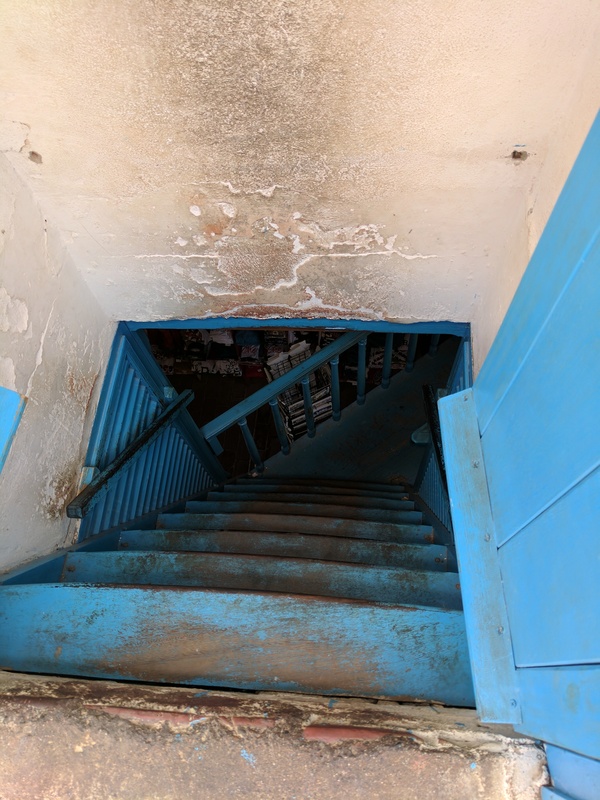 The stairs were a death trap but the views of Trinidad were outstanding! 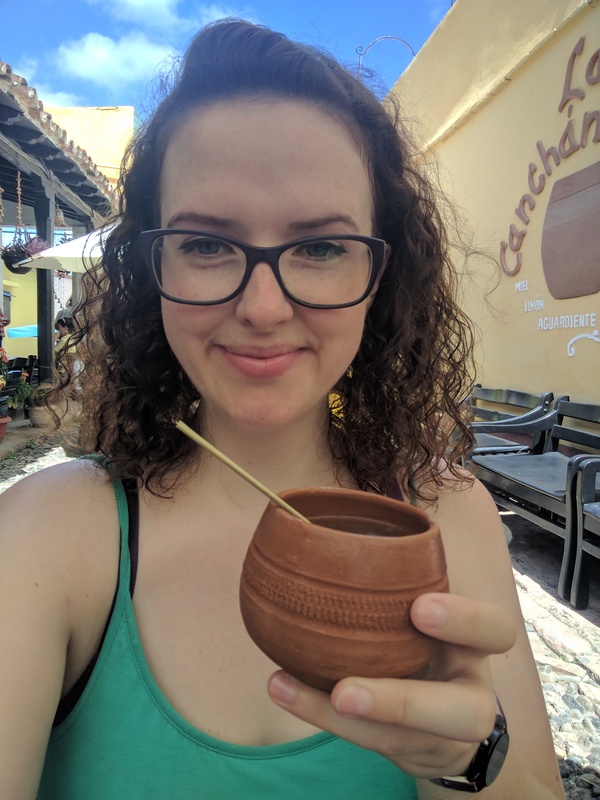 After, we were taken to a local bar and bought a local drink from Trinidad….I can’t remember the name right now but it had honey and lemon in it and it reminded me of the drink my mum used to make me when I was sick as a child. Thanks Marmy!!! The afternoon was then beach time! The taxi dropped us off at this palm tree and mangrove covered beach. After finding a suitable deck chair it was time to take a dip…. My bad luck hasn’t reared it’s head in a while so it decided to make an appearance. Not even 10 seconds into the sea, I had only just got the water to my knee, I felt a pain on my right leg swiftly followed by a second stronger pain. 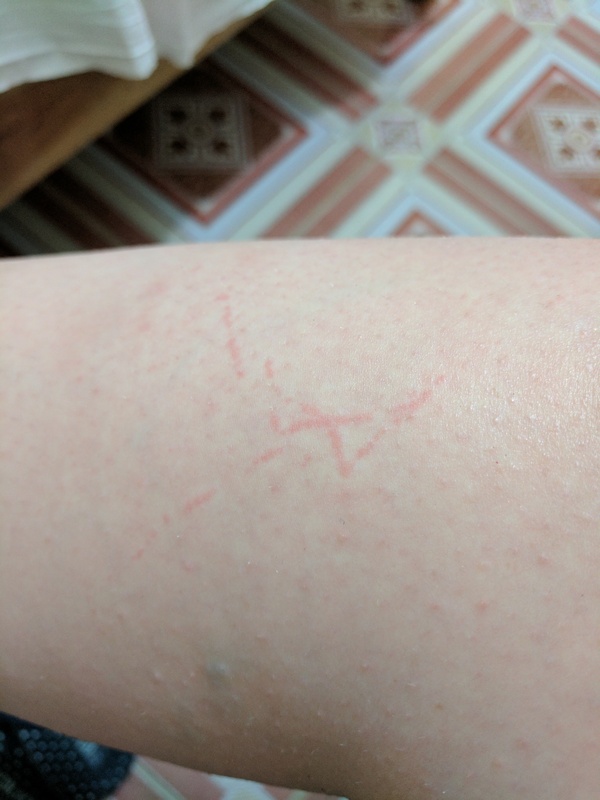 I jumped back to check my leg to see I had been stung by a jellyfish. Not even 10 seconds!!!!!! I spent the rest of my beach time sulking in my deck chair. Early evening we had a short Spanish lesson, some dinner before our teacher dropped us off at Casa de la Música here in Trinidad. 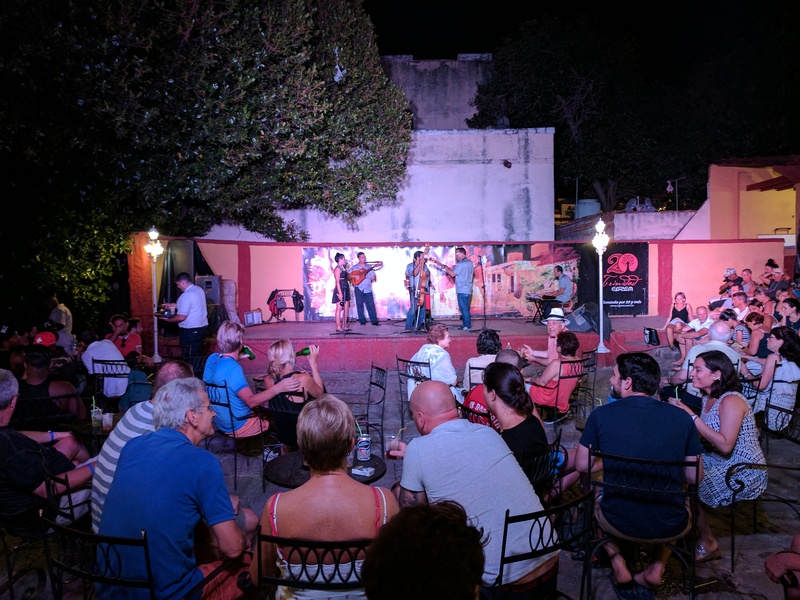 It is cool here, all open air but not as much dancing and all tourists unlike in Havana. We enjoyed a couple of hours listening to the different bands before heading back to our casa where Carola and I played cards and talked into the night. I have a day exploring on my own tomorrow in Trinidad which should be fun!